Hannover. Germany’s robust demand for firefighting vehicles is showing no signs of slowing down. That is the verdict of a recent market and economic status report put out by the firefighting technology association within the German Engineering Federation (VDMA), and welcome news for companies planning to exhibit at INTERSCHUTZ 2020. In its report, the VDMA cites technological innovation as a key decision-making criterion for German public authorities and purchasing executives. Other key criteria include the quality of the vehicles and the associated equipment and software. Standardization and service are also mentioned as critical issues. The report further notes that buyers are looking forward to seeing the first market-ready electric drive systems. “In our view, better technology, better performance and new fields of application are the key drivers of investment in Germany’s fire services. And providers who also tick the quality and service boxes will enjoy particularly strong demand,” Scherer added. According to Scherer, the growing number of market-ready electric drive solutions represents a promising new mobility option for the fire services: “Smaller vehicles weighing less than 3.5 metric tons, in particular, are already available and in demand. The main obstacle at present is the charging infrastructure, which is not yet fully developed.” eMobility will be a key theme for the vehicle manufacturers exhibiting at the next INTERSCHUTZ. INTERSCHUTZ is the world’s leading technology show for the fire and rescue services, civil protection, safety and security. It is also very much a business show and a regular calendar fixture for decision-makers and purchasing executives in these sectors. Technology providers catering for the fire and rescue service sectors use INTERSCHUTZ to showcase their latest developments and innovations. On the visitor side, INTERSCHUTZ attracts public procurement officials, mayors, treasurers, chief fire officers, regional fire officers and commissioners as well as decision-makers from professional, private and volunteer fire services and an international mix of others who play a major role in purchasing decisions, e.g. from business, municipal or state backgrounds. The INTERSCHUTZ 2015 visitor survey revealed that 43 percent of the show’s over 150,000 visitors were involved in their organizations’ capital investment decision making. Over 32,000 visitors used information gathered at the show as the basis for concrete investment and purchasing decisions, and over 8,000 visitors placed orders at the show. The next INTERSCHUTZ will be held from 15 to 20 June 2020 in Hannover, Germany. 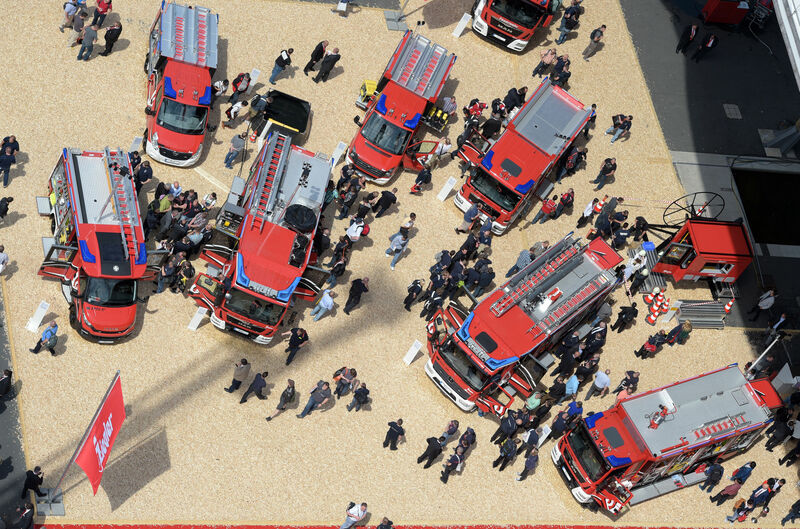 The show is organized by Deutsche Messe with the support of the German Engineering Federation (VDMA), the German Fire Services Association (DFV) and the German Fire Protection Association (GFPA). 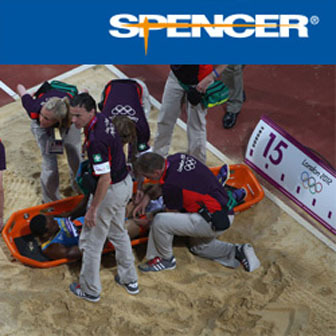 INTERSCHUTZ is the world’s leading trade fair for the fire and rescue services, civil protection, safety and security. The next INTERSCHUTZ will be held from 15 to 20 June 2020 in Hannover. The fair covers the full range of products and services for the disaster relief, fire and rescue services, civil protection, and safety and security sectors. Exhibits include technical support equipment and disaster relief solutions, equipment for fire stations, technical fire and building protection systems, fire extinguishing technology and agents, vehicles and vehicle equipment, information and organization technology, medical apparatus, first-aid supplies, control-center technology and personal protective equipment. INTERSCHUTZ is in a class of its own internationally when it comes to the quality and number of visitors and exhibitors it attracts. It brings together key German industry associations, such as the DFV, GFPA and VDMA, commercial exhibitors, non-commercial exhibitors, such as fire and rescue service organizations and disaster relief organizations, and many visitors from the professional and volunteer fire services, plant fire services, rescue services and the disaster relief sector. The last INTERSCHUTZ – held in 2015 – attracted over 150,000 visitors and around 1,500 exhibitors from around the world. The Italian REAS and the Australian AFAC shows both run under the “powered by INTERSCHUTZ” banner, thereby creating an international tradeshow network that further strengthens the INTERSCHUTZ brand. The next AFAC show for the fire and rescue services will run from 5 to 8 September 2018 in Perth, Australia. From 5 to 7 October 2018, the REAS fair in Montichiari, Italy, will once again be the No. 1 platform for the Italian rescue services. As one of the world’s foremost organizers of capital goods trade fairs, Deutsche Messe (Hannover, Germany) stages a rich array of events at venues in Germany and around the globe. With 2017 revenue of 356 million euros, Deutsche Messe ranks among Germany’s top five tradeshow producers. The company’s portfolio features such world-class events as (in alphabetical order) CEBIT (digital business), CeMAT (intralogistics and supply chain management), didacta (education), DOMOTEX (carpets and other floor coverings), HANNOVER MESSE (industrial technology), INTERSCHUTZ (fire prevention, disaster relief, rescue, safety and security), LABVOLUTION (lab technology) and LIGNA (woodworking, wood processing, forestry). The company also regularly hosts a number of internationally renowned events by third parties, among which are AGRITECHNICA (agricultural machinery) and EuroTier (animal production), both of which are staged by the German Agricultural Society (DLG), EMO (machine tools; staged by the German Machine Tool Builders’ Association, VDW), EuroBLECH (sheet metal working; staged by MackBrooks) and IAA Commercial Vehicles (transport, logistics and mobility; staged by the German Association of the Automotive Industry, VDA). With more than1,200 employees and a network of 58 sales partners, Deutsche Messe is present in more than100 countries.